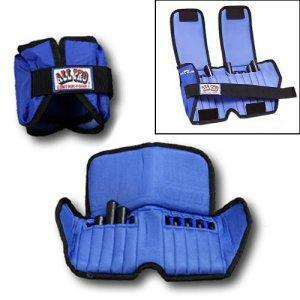 Great for self mobilization of muscles and improving range of motion of the spine, you get these at Amazon.com. 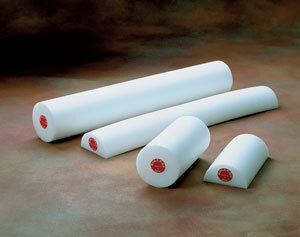 We usually recommend the 36″x6″ white foam roll for general use, but often the shorter 18″x6″ might be adequate if you are using it for your lower extremities. If you are in Manhattan, Paragon (18th & Broadway) sometimes carries them but often limited in stock. When it comes to getting weights for home exercises for physical therapy we recommend starting with a pair of 5lb ankle weights (10lbs total) which are adjustable in 1/2 pound increments. Because many injuries involve small muscle groups this amount of resistance is usually adequate in the beginning. One can also avoid gripping which can be problematic for those with forearm injuries. I prefer using the weights with leaded rods rather than those with sewn bags as the sewnbags often eventually break. 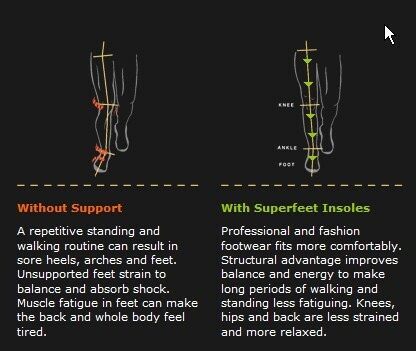 I have tried several over-the-counter insoles and the one I prefer is made by Superfeet. What I like about Superfeet is that they are lightweight, thin, durable, and have a decent heel cup. This last feature is important because the two most common reasons for overpronation are collapsing of the arch and turning out of the heel. If you know your feet overpronate, a good insole might give them the support they need to reduce the risk of injury. They are more expensive than those you’ll find at the local convenience store, but the quality is well worth it. They even make a special insole for high heels. 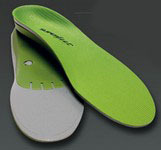 If you have an injury you should first consult your physician or physical therapist to determine if this type of insole is appropriate for you. If you are contemplating joining a gym in the new year, a good option might be to pick up a Fitness Passbook or Yoga Passbook to try some places out. The Fitness Passbook offers 700 passes to over 175 NYC clubs (gyms, dance studios, Tai Chi, kickboxing, etc) and The Yoga Passbook offers 325 passes to over 120 clubs (yoga, Pilates, gyrotonics). Bookholder is a highly adjustable bookstand that my brother turned me onto quite a while ago. The feature that impressed me most was that he could lie completely flat in bed while reading a book as it hovered above his head. For those with aching necks, this can be a godsend. People often have neck pain because they hold a poor posture while working on the computer or reading documents. 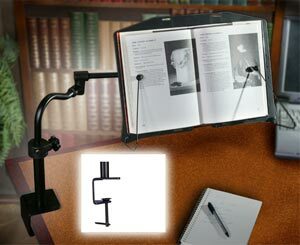 This product allows your work to adapt to your good posture, rather than your posture adapting to your work. It comes in desk and floorstand model. 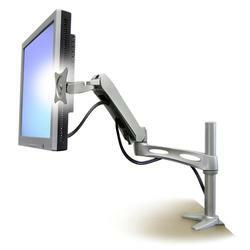 I always loved the old G4 iMac adjustable monitor and thought Apple should have built upon it in their future designs. So many neck injuries are related to prolonged computer use and I thought the iMac might start a trend in better computer ergonomics. Unfortunately, they dropped the ilamp idea and pursued a cleaner, sleeker design. 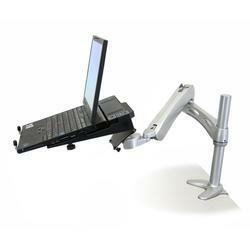 During my search for a LCD Monitor stand I came across the Ergotron Neoflex. It pretty much fits the bill for a small footprint, multi-adjustable stand. Not as smooth as the iMac, but it does the job. This new version looks mechanically similar to the iMac, as well as more durable, but I haven’t tested it yet. I’m a firm believer that laptops should only be used for mobile computing unless attached to an external monitor. The posture it encourages places too much strain on the neck and wrists. Another option is to get the laptop version and use it with an external keyboard.